I quit social media in December of last year. It’s unfortunate that my online presence became a problem for me because I know the power of community. I met some of my best friends on the platforms being used today. Having time for internal reflection without wanting to peek at how many likes or comments I have received, I now see that it was all a part of my growth and discovery process — so ultimately, I am grateful for the challenges that led me here and for my new skill sets. 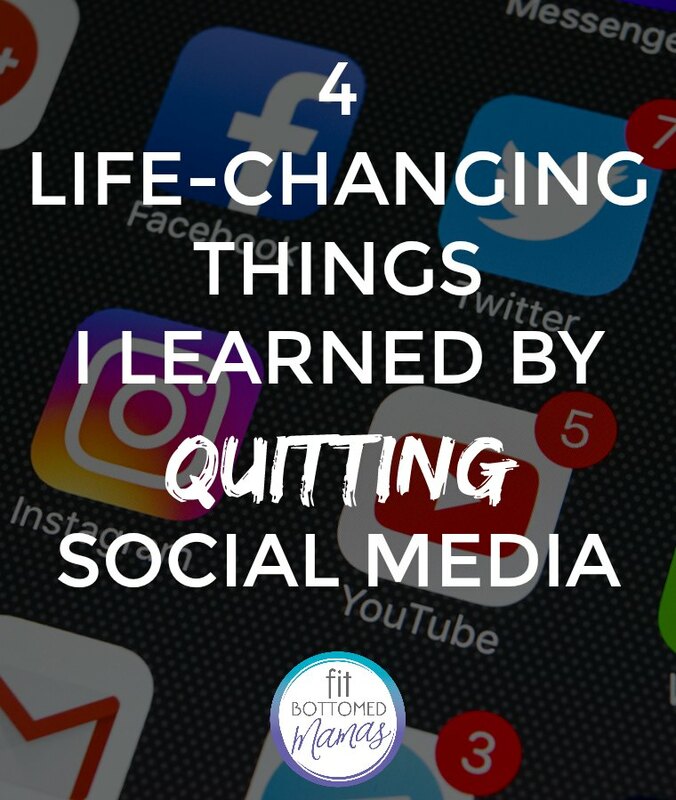 With an open heart, I share with you what I have learned since quitting social media. 1. I was addicted to social media. I was on my phone all the time. I was genuine with my posts, but now I understand that many times I stopped genuine moments to duplicate them in an image to caption and share with the world. I wanted my happiness, my struggles, my life to be the one getting attention. My growth, my exercise, my adventuring — I now see that it was all for the attention, and not from my loved ones, but from strangers. Although I was being honest with the world, I was not being myself with the people closest to me. I was giving my family a distracted, anxious, and busy person, mentally incapable of making space for them because I was too worried about replying to comments or keeping up with the life of others. 2. I can live a life offline. I remember being 9 years old and using dial-up internet. I remember having MySpace and LiveJournal accounts, which were then traded in for Facebook and Instagram accounts and a personal blog page. My entire life was online. Sharing my life and leaving myself with little privacy was a part of my routine. Unplugging has made me aware of how important it is to me to keep my life private. I have learned to enjoy sharing special moments more intimately instead of putting it up for the world to decide with double taps. 3. Unplugging was not as complicated as I thought. I had this fantasy — before quitting social media — that my family and I would move to a tiny home on a big piece of open land freeing us from the pressures of comparison. As I now enjoy my private life, I realize that uprooting my family and taking social media with me would have simply meant running away from my problems. All it took to free myself was uprooting myself from social media and delving into my real life. 4. I am heavily influenced by other people. I was allowing the people I followed to influence my happiness. I found myself often ungrateful for my life. I never had enough, was enough, or did enough because my real life did not look like the life of the “Instafamous” moms I was following. I am finding it beneficial to family’s health and my own for me to be my truest form without feeling that I have to share it all with the world. If you resonate with any of this, I recommend taking a break from social media. You do not have to quit altogether, but consider giving yourself time and space away from all the static noise of other people’s lives to discern what is from your heart and what’s not.